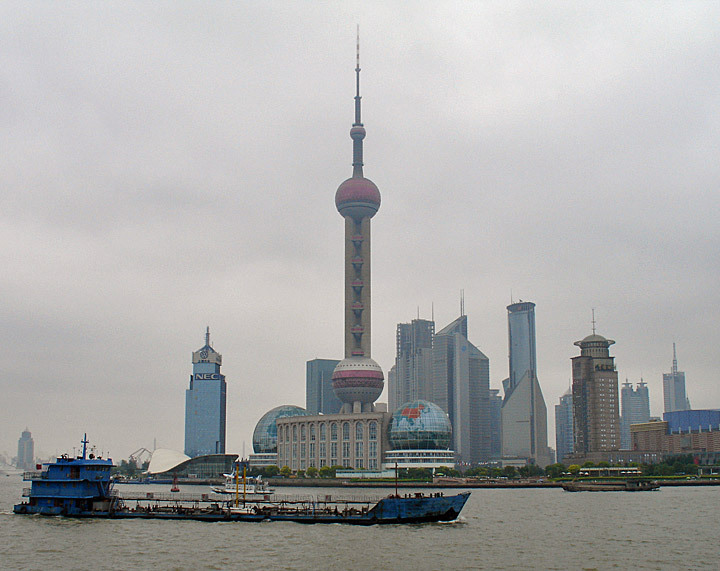 The Bund is one of the most recognizable architectural symbols of Shanghai. The word ‘bund’ derives from an Anglo-Indian word for an embankment along a muddy waterfront and that is what it was in the beginning, when the first British company opened an office there in 1846. 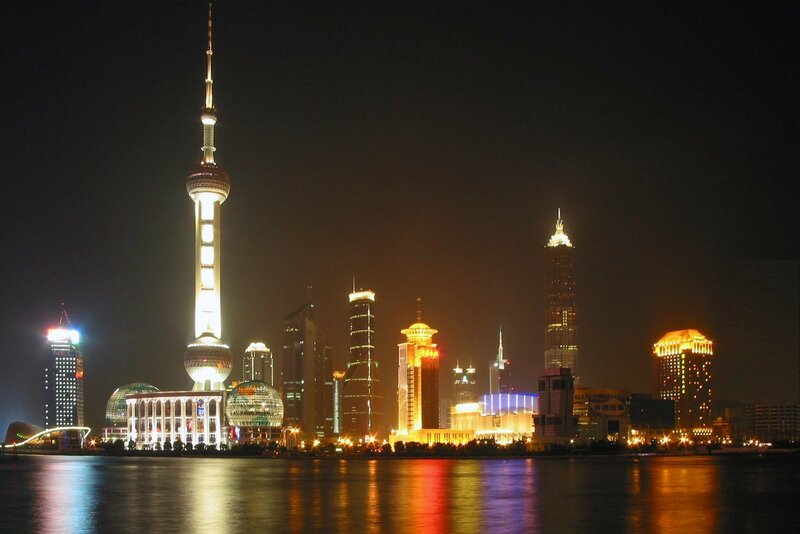 It became the epitome of elegance during Shanghai’s history as a city of trade. Now many attractive new constructions have been erected in addition to the historical buildings. A 771-metre long retaining wall for flood control was built. Atop the wall is a spacious walkway for sightseeing. Paved with colorful tiles and dotted with flower beds and European-style garden lights. 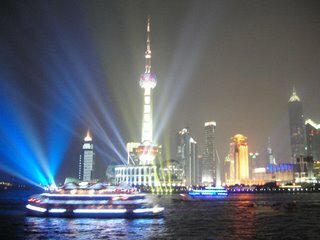 It is a good place for a leisurely stroll and a view of the Huangpu River. 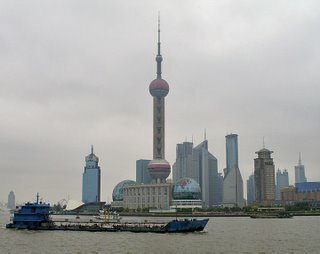 The Bund, which extends from Jinling Road in the south to the Waibaidu Bridge over the Suzhou Creek in the north, is on the western bank of the 114 kilometer long Huangpu River, a tributary of the Yangtze River. 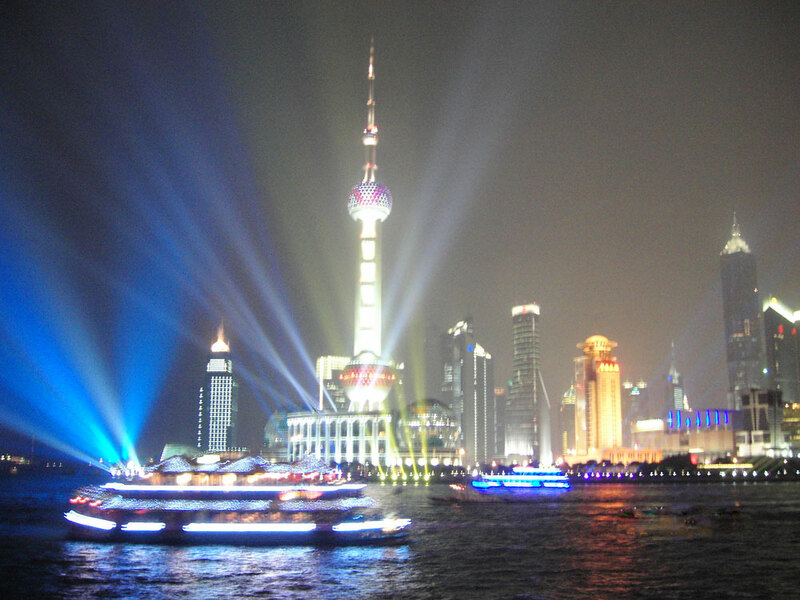 The Bund stretches one mile along the bank of the Huangpu River. Traditionally, the Bund begins at Yan'an Road (formerly Edward VII Avenue) in the south and ends at Waibaidu Bridge (formerly Garden Bridge) in the north, which crosses Suzhou Creek.The Bund centres on a stretch of the Zhongshan Road, named after Sun Yat-sen. Zhongshan Road is a largely circular road which formed the traditional conceptual boundary of Shanghai city "proper". To the west of this stretch of the road stands some 52 buildings of various Western classical and modern styles which is the main feature of the Bund (see Architecture and buildings below). To the east of the road was formerly a stretch of parkland culminating at Huangpu Park.This area is now much reduced due to the expansion of Zhongshan Road. Further east is a tall levee, constructed in the 1990s to ward off flood waters. The construction of this high wall has dramatically changed the appearance of the Bund.Looking out on the river, various cargo vessels, speedier tourist ferries and other locally owned boats, some of which remind visitors they are still in a developing country, can be seen navigating the Huangpu. Visitors might need reminding, with the towering skyscrapers, the Oriental Pearl Tower, the neon lights indicating the offices of top world brands and European architecture surrounding them. The commemorative square at the junction with Nanjing Road features a fountain and a statue of Chen Yi, who in 1949 became the first mayor of Shanghai in the communist era. Opposite the Customs Building is an electronic clock that shows standard times in various world localities on a water-like curtain. All around are Chinese wisterias, gingko trees and azaleas. Buildings in Greek, Renaissance and Baroque styles can be seen along the west of the Bund. The wharf for pleasure boat rides is also at the end of Nanjing Road. A boat ride on the Huangpu River will take visitors down to the estuary of the Yangtze River and back in just over three hours.